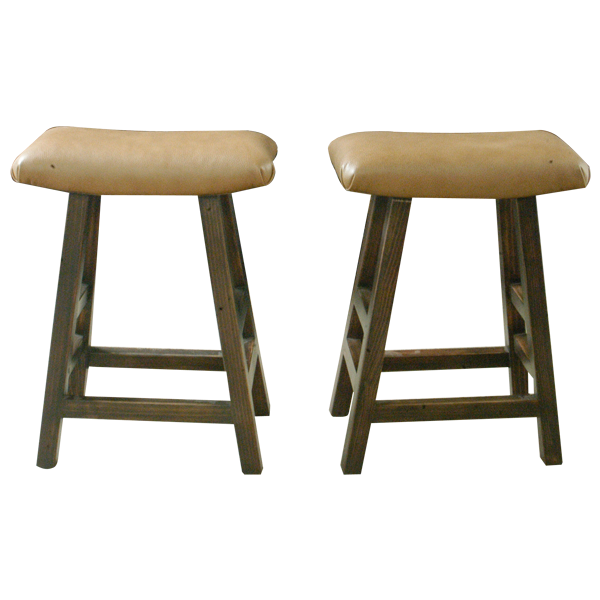 With its simplicity in form, this stationary handcrafted bar stool exemplifies the concept of “less is more”. This custom bar stool combines simplicity, sophistication, beauty, and function to create a masterpiece in minimalism. Its concave rectangular top is upholstered with rich beige colored full grain leather, and the top sits on beautifully finished splayed legs with crossbars at different highs and paired on each side. 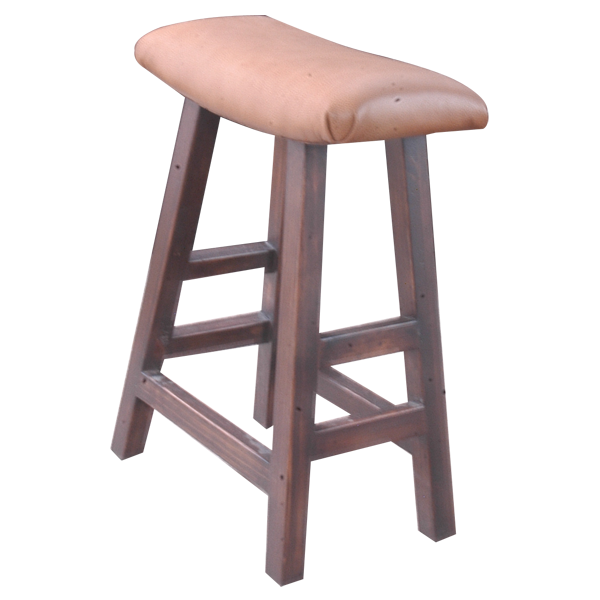 Both durable and comfortable, the bar stool is made with the best wood available. It is 100% customizable.